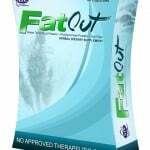 FatOut has Sweep and Shred formula which helps in cleansing your colon and trimming down your extra fat. It is a combination of the following amazing ingredients - Psyllium Husk, Green Tea Extract, Pu’er Tea Extract, Aloe Vera Powder, Alfalfa and Oat Fiber – that promotes good digestive health and boosts weight loss all together. Regulate your bowel movement and prevent tummy problems by constant removal of toxins. Stand out with FatOut! Experience a pampering kind-of-day with your idol, Kim Chiu.